Snorkel or dive in the Great Barrier Reef at some of the best dives sites in and around Cairns with Tusa. In the 2,000km expanse that is the Great Barrier Reef, the T6 is the latest vessel in a distinguished line of Tusa Dive's custom built crafts. As the only boat in Cairns with a roaming permit, you will get to see all the best places for whatever conditions may come your way. Tusa takes divers and snorkellers out onto some of the world's most beautiful reefs, just 90 minutes outside of Cairns for an unforgettable one day, fun-filled tour. You'll take advantage of the maximum number of hours on the Outer Great Barrier Reef, snorkelling or diving on the most spectacular sites around. The Tusa Dive team will choose the best sites for your day from 16 different locations to ensure you make the most out of your day. You'll get to see beautiful coral gardens, dramatic drop-offs and isolated pinnacles with diverse and amazing marine life and corals. T6 is a specially designed, dedicated dive boat with state of the art navigation and communication equipment, on board compressors, spacious back deck areas and transoms that open onto water level platforms for easy entries and exits. While it's surveyed to fit 120 people, you'll be comfortable with only 60 other people on board, with room to roam and enjoy the ride. Do two certified dives and get your third free! The Outer Great Barrier Reef is a snorkellers paradise, with thousands of kilometres of reefs to explore. Tusa has the latest in snorkelling equipment, with quality masks, fins and lycra suits for your comfort. With flotation devices available, you will be able to relax as you drift or swim around, checking out all the amazing beautiful that lies below. Our guides will get in the water with you and show you around, pointing out the different species of coral and marine life around you. We can even take a life ring with us, so that we can tow you along as you relax and enjoy the ride. Tusa's T6 is a specially designed dive boat, ideal for both introductory and certified divers. You will have the chance to dive up to three times in two different reefs during your day trip. The Outer Great Barrier Reef offers a vast variety of marine life and landscapes to explore under water for the scuba adventure of a lifetime! The Tusa dive team is happy to show you the ropes and show you the secrets of the reef as you cruise around below the surface. Whether it is your first time or not, you will feel as ease with the practiced and qualified team on board Tusa. Please note certified divers are required to provide their Certification Cards upon boarding and all divers must fill out a medical questionnaire. 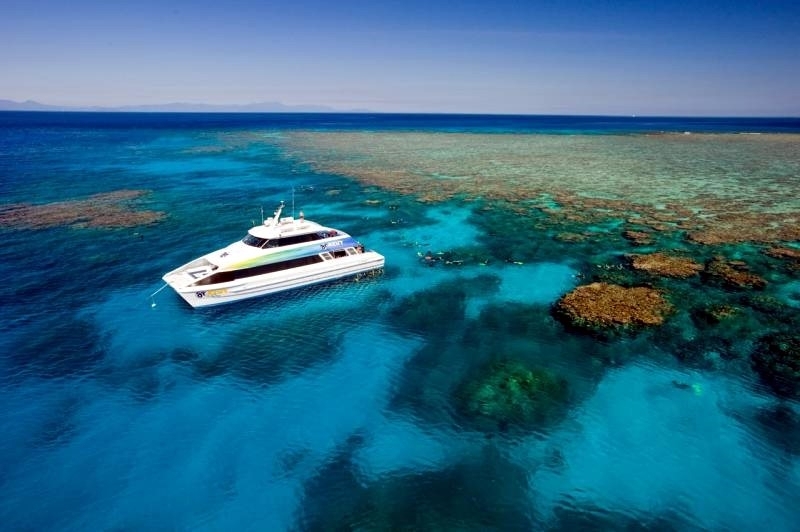 With 25 years of experience on the books, Tusa welcomes both scuba divers and snorkellers on board to explore the Outer Reef and discovery the beauty of the Great Barrier Reef up close and personal. Please ask us about dive course options. â€‹All cancellations made result in 25% cancellation fee of the recommended retail price (RRP), not discounted or sale prices. Any cancellations made 60-30 days prior to travel will result in a 50% cancellation fee and any cancellations made inside of 30 days to departure will result in forfeit of full trip fees. If the sailing company has to cancel the trip (prior to the boat's departure) and we cannot offer a suitable alternative, then a refund will be given minus card fees. We strongly recommend that you have travel insurance, especially during the wet season.